The research statement above from Maria Montessori’s work in the poor sections of Italy in the early 1900s expresses a basic attitude about the natural talent for learning possessed by children everywhere, which is also echoed by other 20th century educators including Jean Piaget, Lev Vygotsky, and John Dewey. The Montessori view, sometime referred to as Constructivists, emphasize the capacity of the child to learn when provided with an environment, resources, and activities organized in such a way as to maximize the learning experience. In this view, the teacher’s role is to make learning experiences available, to keep the environment attractive and interesting, but not to interfere when students begin to focus. 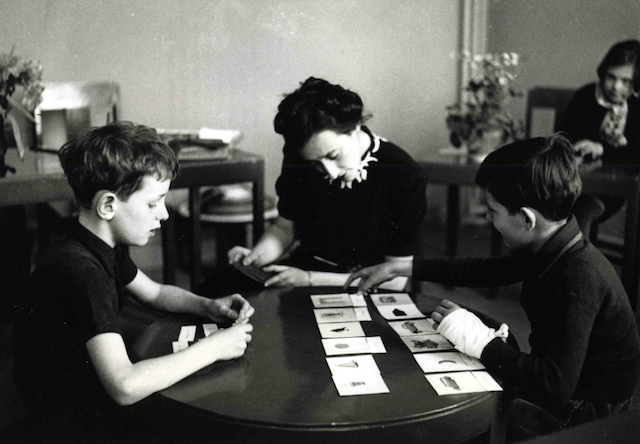 Yet, at other points, it is clear that a Montessori teacher is expected to provide lessons to guide classroom activity. This is much different from Sugata Mitra’s self-organized learning environments, with no teacher. It is also radically different from one in which the focus is on the teacher and the curriculum. The role of teacher as facilitator of learning rather than conveyor of content. 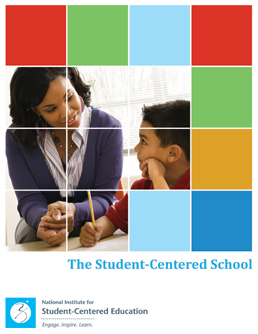 Student-centered education reflects a perspective of the whole child, while acknowledging that we, as educators, primarily address the aspect of a child that shows up in an educational context. In this Montessori/Constructivist view we see a student-centered approach that promotes independence, freedom within limits, and respect of a student’s natural development. It is an environment that is student-centered, but organized and managed by a teacher.